First off, if we were in a world when calendars thought up by extinct civilizations held any merit, I'd be worried. So, as with most things, take this with a pinch of salt, a lime and a swift shot of at… oh never mind. This isn't a film review forum, so I'll spare you the budding film critic in me. Instead, this review is a novice look into the logic behind some of the concepts the film portrays. 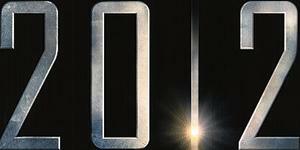 Essentially 2012 is a bum numbing 158 minutes of hollywood over over-exaggeration. The idea is that when the planets align, which apparently only happens once every 'insert big number here' years, the Sun will go completely pete-tong and start hurling huge amounts of neutrinos at our lowly little planet. This intern causes a chain reaction in the earth core, causing things to get a little heated… see what I did there? Once the earth gets hella hot, it inevitably throws the reset switch and everything goes to hell from there on in. Ok, I'm not going to sit here and break down all 158 minutes of 2012, but I will explain the highlights, so if you're not fond of spoilers, look away now. The first step in this wonderful adventure is the appearance of increasingly fierce solar flares, which if you didn't know, are not a good thing. As the 'Wiki' listing for Solar flares indicates, even small solar activity can cause havoc with radio and satellite communications, so how is it that over the course of three years while the government was busy building shits to escape the coming flood, that no satellites or comes were brought down? Surely people would become suspicious of their calls dropping every few seconds? Unless of course you're on AT&T, which I hear, packages this in as a feature? If there's a secret so big that the government needs to start hiring 'hits' on potential leaks, I'm pretty sure they wouldn't start randomly blowing people up the day before a press conference. I think perhaps that might seem a little suspect? So, when the curator of the Louvre is killed in a seemingly sudden massive explosion, I'd expect more press coverage and intrigue. With social media and citizen journalism more active than ever, I'm sure that you'd see a twitter trending topic or two about these so called 'accidents'. I've never been, but hope that it's safe to assume that Yellow Stone Park is a fairly popular tourist spot. So, explain to me how it is that huge sections of cordoned off land could go unquestioned. 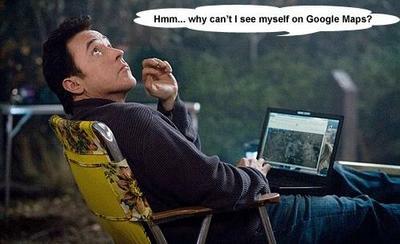 Amazingly, our lead actor thinks that a simple search on Google Earth might reveal the truth? First off, it's not nearly close to live data and only updated on a very infrequent basis. Satellites aren't cheap to run, not that I've checked the prices. First some small street level cracks, then entire cities being ripped apart, that's a stretch for any imagination. I find it hard to believe that the entire states could start ripping themselves apart in a matter of hours, without at least months of major activity before hand. Not the mention the fact that you would expect at the very least a few active volcanoes around the world to start spitting. You'd have geologists (or at least that what I think they're called) the world over screaming at the top of their lungs, and the press happy to listen. At this point I'm starting to feel that this film just asks the viewer to gloss over too many questions that need answering. At the end of 2009, we're in an era where the principles of quantum computing are coming to fruition and we're able to hold real-time video calls with people on the other side of the world. In my opinion, 2012 relies far too much on big action graphics and far too little on real outcomes. I can say with some certainty that an event of such magnitude as in 2012 would not, and could not, go unnoticed in the vastly interconnected world of today. It will be a hit in the box office, and some people might even take heed of it's warning, but come 2012 I'll be sitting in my stem chair beating n00bs on Modern Warfare 4.